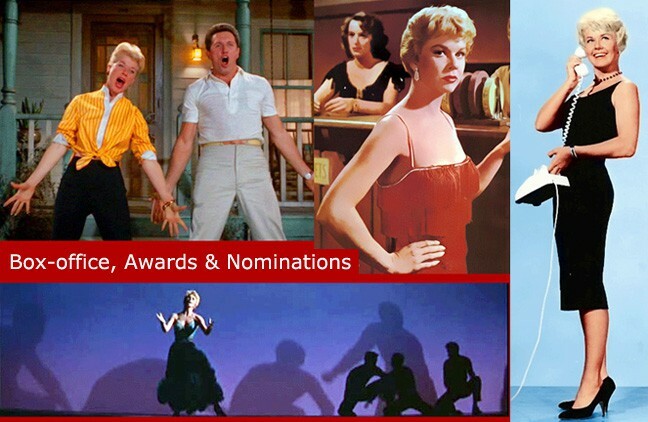 Doris Day was one of Hollywood’s top earners, as evidenced by the box-office returns of her films – the actual amount taken at the box-office and not the often misquoted net amount, which vastly understates the film’s financial success. Only one of Miss Day’s films failed to show a profit, The Ballad of Josie. Every other title was profitable including The Tunnel of Love, It Happened to Jane, and Jumbo, which went into profit only after being sold to television. The budget for The Tunnel of Love was less than $500,000 since it was shot in three weeks, in black and white and required limited sets. Josie, despite losing money did earn a certain distinction. When it was broadcast by NBC as part of their Monday Night at the Movies in the Fall of 1969, it achieved an amazing rating (One of the highest to date for the primetime movie) and an audience share of approximately 50% of those watching television. 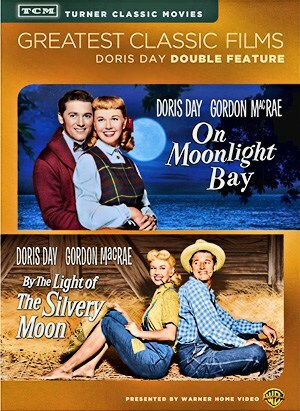 Variety noted at the time that for a half hour that Monday since The Doris Day Show was being telecast on CBS during a portion of the evening and was a ratings winner also, that the combined audience share watching Doris Day for part of the evening represented more than 75% of the people in America who were watching television. Of course in those days there were no cable channels, HBO, etc. so people tended to watch one of the major networks, but Parade Magazine stated in 1968 that Doris Day films were the best ratings draw and that the three networks were engaging in open warfare to secure the rights to telecast Miss Day’s films. Author of Was That a Name I Dropped?